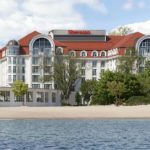 A congress venue at the seaside – Hotel Sheraton Sopot! 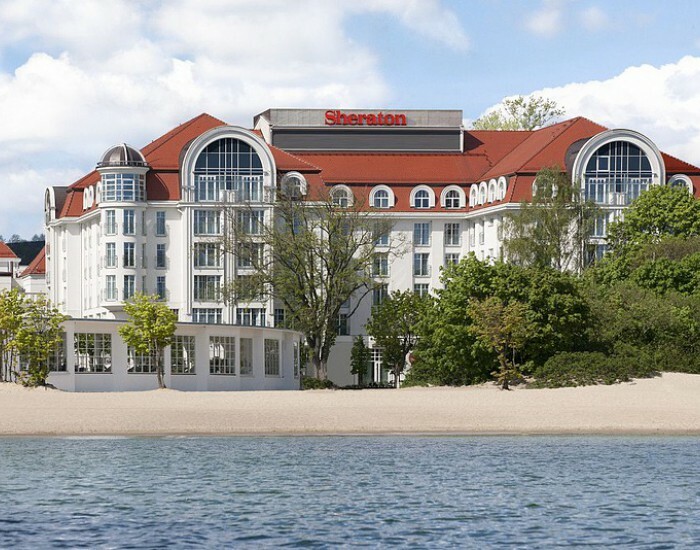 I visited a 5-star Sheraton Sopot Hotel last week. As it is a 5-star hotel of a world renowned hotel chain, one may assume what to expect. Comfortable hotel rooms, wide offer of hotel services, different types of restaurants, SPA and recreational centre – this is what we expect to find there. What is special about this venue is its location just at the Baltic sea seaside with a private beach in the summer season. A conference centre is as comfortable as could be both for the congress organizers as for the organization of simple conferences and trainings. It offers a plenary room for up to 650 people theatre style, as well as rooms for parallel session, small executive meeting and a spacious foyer for trade exhibition, lunches and coffee breaks. An original Marco Polo conference room with a original entresol connected to the adjoining Baltic Ballroom gives a perfect location for an elegant gala dinner or less official evening event. However you may as well think of arranging the official evening gala in any of the venues in Sopot and other 2 cities of the Tri-City (Gdansk or Gdynia). Comfortable rooms are equipped with all the facilities as for a 5-star hotels and Sheraton standards. As the hotel offers an accommodation for only 378 people whilst it’s biggest conference room (Columbus) is for up to 650 people, congress participants may be accommodated also in the neighbouring hotels of different standards, many of the walking distance, including another 5-star Sofitel Grand Hotel located just next to the Sheraton Hotel. A localization of the hotel in terms of reaching it by the guests is also worth mentioning. 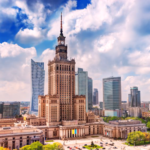 Hotel is located only 7-minute walk away from the Sopot train station, which offers a direct connection to all major cities in Poland. Reaching Sopot by car is also very comfortable with a A1 motorway connecting south and north of Poland and joining with a A2 motorway from west to east. Gdansk Airport offers a direct flight connection to many airports in Europe. You may also reach Sopot with a ferry from the Northern Europe countries lying on the Baltic sea coast. If you like to learn more, contact us.